There’s nothing quite as disconcerting as finding a whole allspice berry or piece of dried rosemary in a sauce or bowl of soup. A tip from Margarita Krasanaki. Greek olives are known the world over for their variety, flavors, and colors. Learn about the methods of home curing. Making chicken broth is a very simple process in Greek cooking. It can be made in a stew pot or pressure cooker. Here are both methods. Whether you run out, or just need a cup or two, making confectioner’s sugar (powdered sugar, icing sugar) is a simple matter in the blender. If you have fresh mint but nowhere to hang it to dry, here’s an easy alternative. Grape must is used in Greek cooking to make puddings, candy, and a grape syrup that is used like maple syrup. Although grape must can be bought, it’s easy to make using this ancient recipe, and a fun family project. 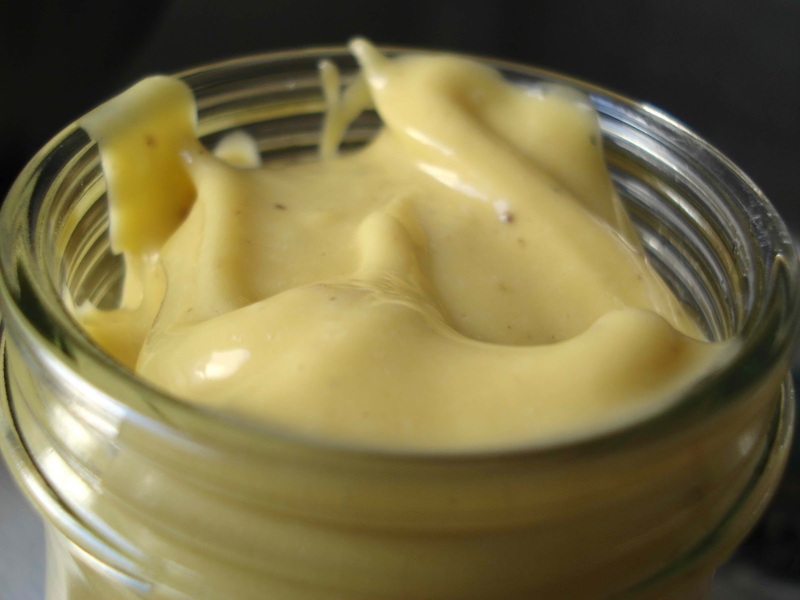 There’s nothing like homemade mayonnaise to give your culinary creativity a jump start. Salads, sandwiches, seafood, and veggies are just a few of the places to show off your creation. Phyllo dough is easy to make, and the difference when using it to make pitas and pastries is remarkable in taste and in ease of handling. Grapes abound in Greece, and when we harvest our own, we always set aside some to dry so that we have raisins all during the year. It’s easy. Here’s how to do it. In Crete, dakos are generally made from a barley bread, and other types of rusks and crushed rusks are often used in Greek cooking and in serving Greek foods. Learn how to make them in your oven using different types of bread. Self-rising flour has been widely available in the Greek market for many years, and some recipes may call for it. If you don’t have any on hand, or just prefer not to use it, you can make your own. It’s very easy. Making your own sun-dried tomatoes is easy, but does take some time. This is the way it’s done by traditional Greek cooks. Homemade tomato paste is a tradition in many Greek families. This recipe for making tomato paste at home takes a long time, but it’s easy and the results are wonderful.